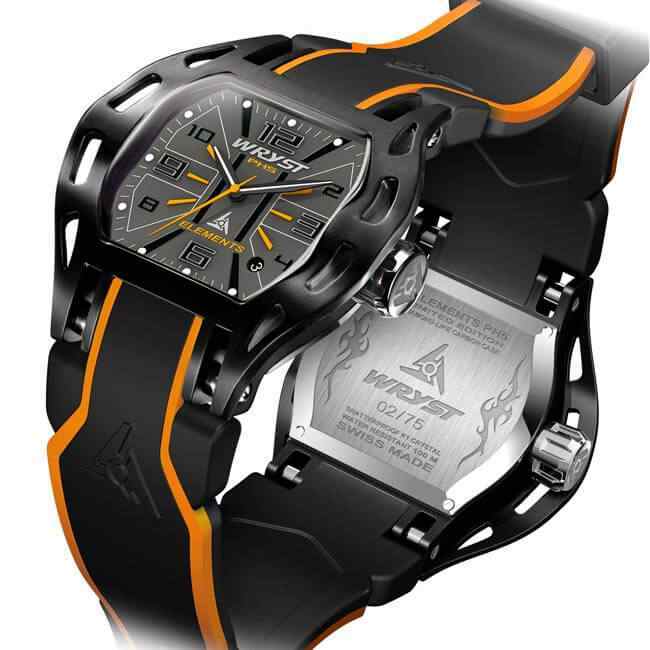 Orange sports watch Wryst Elements PH5 limited edition designed and manufactured in the Swiss traditions. 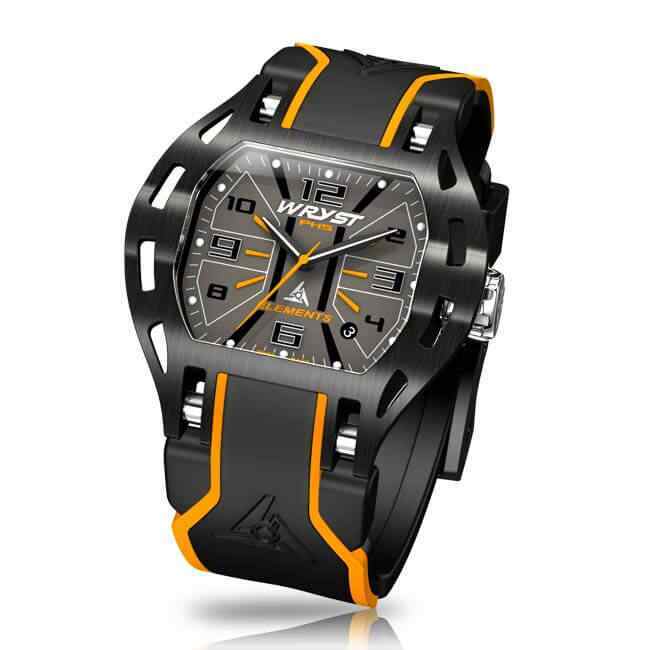 With a fascinating sportive combination of black casing, the luxury PH5 orange sports watch for men is seriously different with a bold and aggressive design. 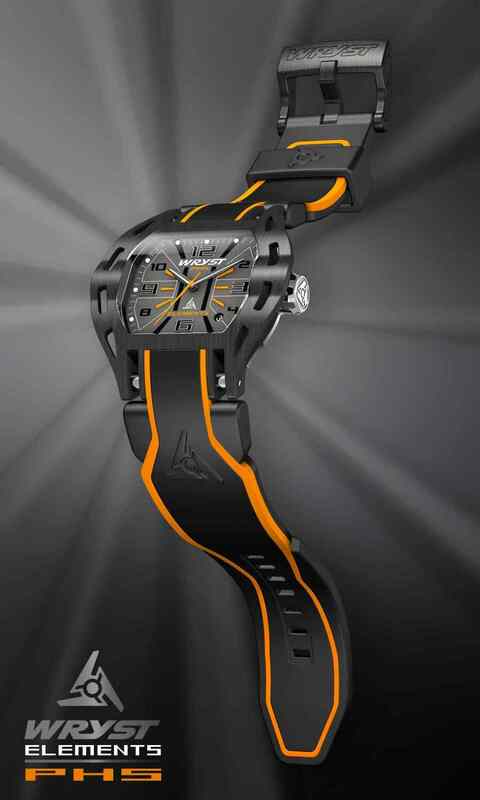 Make a long lasting charismatic impression with a versatile black and orange sports watch engineered to be tough. 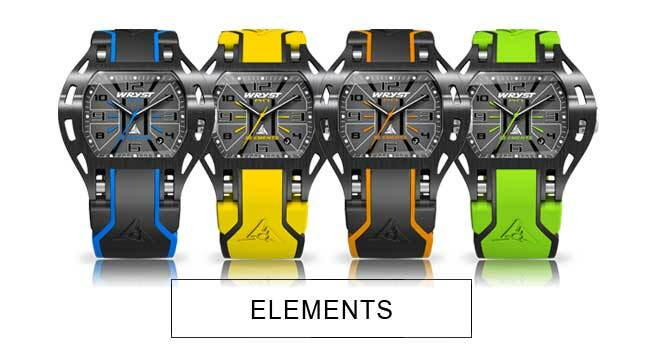 As opposed to most luxury orange sports watches, the Swiss made Elements PH5 is a unique compromise of refinement and durability. Also include a complimentary orange bracelet. 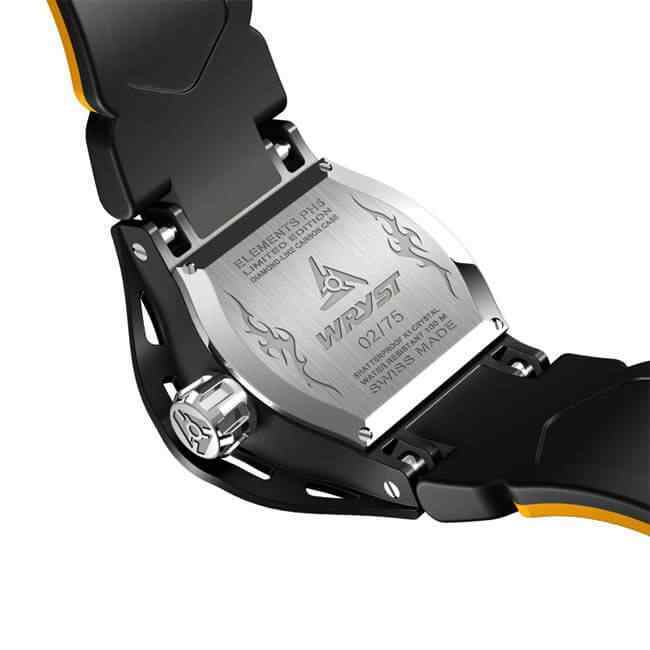 Swiss watch brand Wryst thrives to offering limited edition orange sports watches dedicated to outdoor sports, water sports and adventure sports. 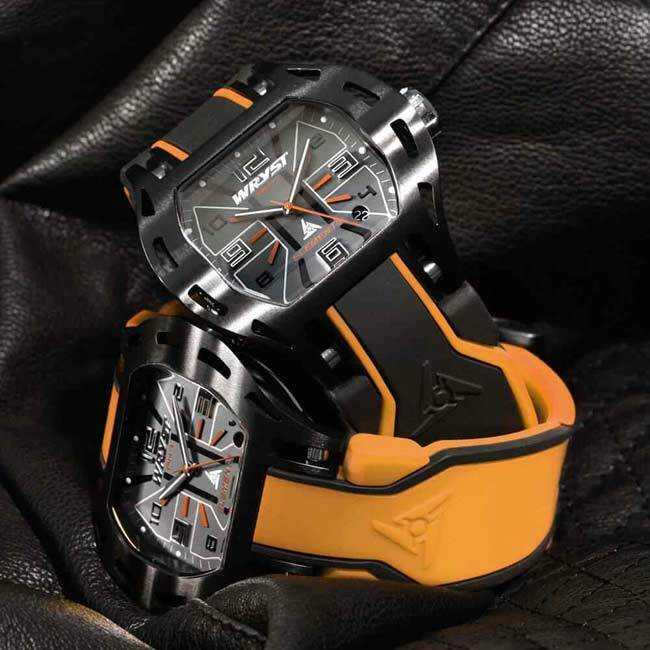 The impeccable compromise of unprecedented style and strong durable materials is a must when it comes to creating a well-built luxury orange sports watches. Wryst atypical Swiss timepieces provide excellent value for money. 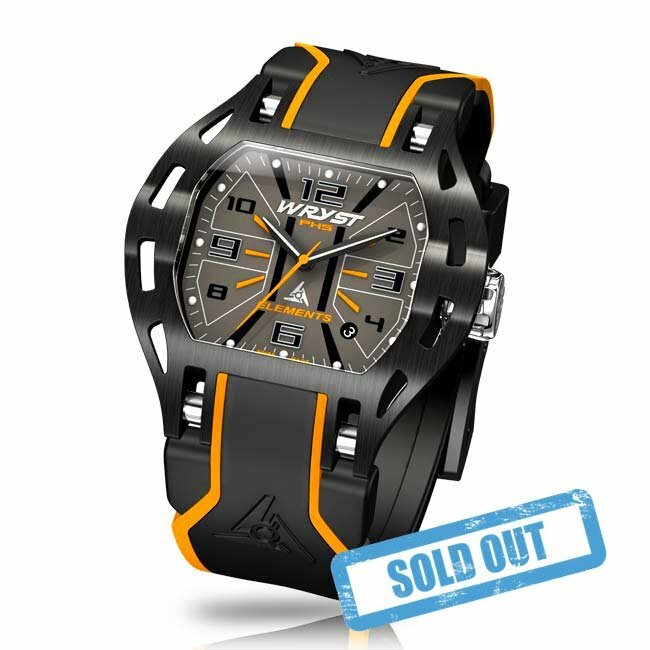 The PH5 orange sports watch body and buckle are both coated with the world's most scratch-resistant black coating DLC (Diamond-Like Carbon). The "K1" crystal protecting the dial is also more shatter-proof than sapphire. 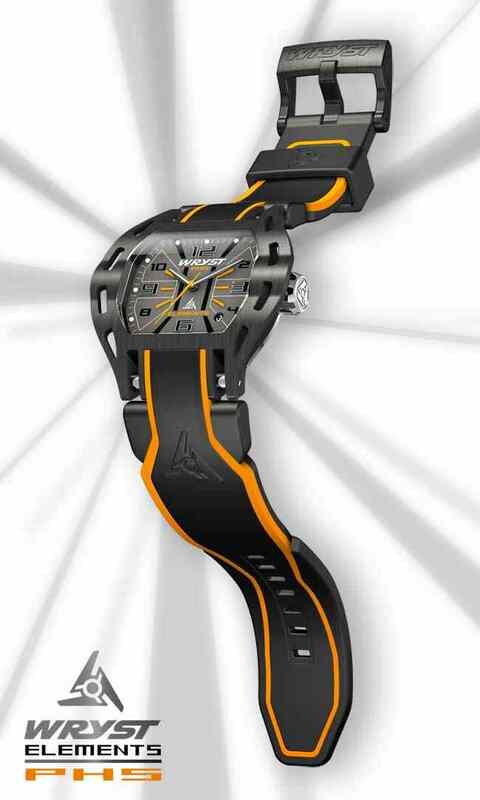 The collection benefits of a screw-in crown, 100 meters water resistance and two straps included. Produced exclusively in a limited edition of only 75 pieces, this reference PH5 orange sports watch will not be available for a long time. Each watch is engraved with a unique serial number on the case back so there is never two identical watches in existence. Wryst is proud to provide individualists with stylish durable luxury watches along with an impeccable and devoted customer service.